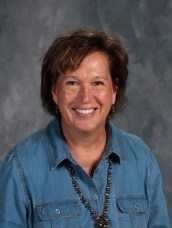 Terry Farmer has worked at Westside Catholic for 25 years as Administrative Assistant and Bookkeeper. She is married to Roy Farmer and they have six children that formerly attended WCS and fourteen grandchildren. When she is not at school, she is the full time caregiver for Roy, who has multiple sclerosis, and her elderly mother. She enjoys sewing, knitting, reading, gardening and also raising chickens.